E3 week is over for another year! The conferences have come and gone, the show floor has closed, the Youtubers and game journos have pieced together their wrap-ups and are now piecing together their minds with some well-earned rest. So it’s time once again for me to pick out the trends of the show and throw forward my own general thoughts on the delirious highs and confusing lows of the 2018 Electronic Entertainment Expo. Every year at E3 there’s always a videogame feature or aesthetic concept that seems to rear its head suspiciously frequently. Examples from past years that come to mind include the neck-snapping animations of 2013, the dog companion focus of 2015 and of course the piracy outbreak of last year. This year pundits were ready for the deluge of “battle royale” mode additions to both existing major franchises and new projects, but aside from the very first game of E3, Battlefield V, that would-be trend was nowhere to be found. Instead, the feudal Japanese period stepped up into the thematic void with considerable style. 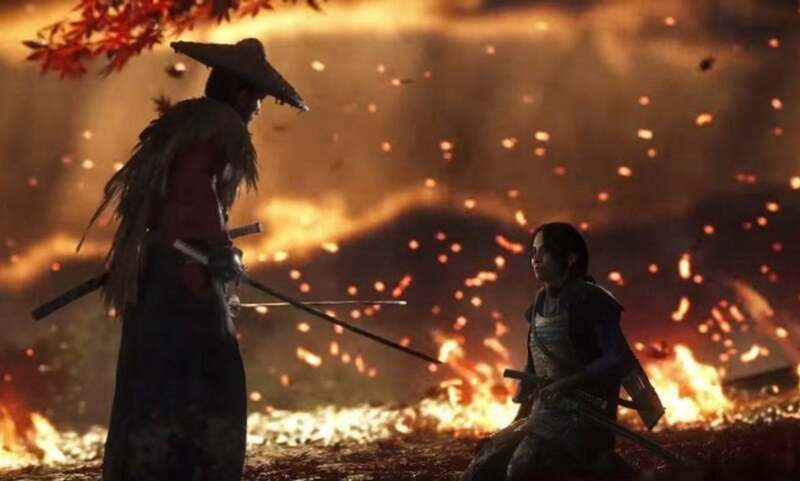 Sekiro: Shadows Die Twice, the much-discussed next game from Dark Souls developer From Software, led the charge and evoked imagery from last year’s runaway success Nioh. It was fitting, then, that Nioh 2 also brought the samurai goodness later on in the week. However the decidedly AAA polish of Sucker Punch’s Ghost of Tsushima probably took the greatest share of the conceptual spotlight, presenting an absolutely jaw-dropping interpretation of a painterly Japanese countryside soaked in blood and fire. There’s no guarantee that this trend won’t reverse immediately next year, but when compared to 2016, the majority of the E3 conferences have largely improved in leaps and bounds when it comes to window dressing and pacing. 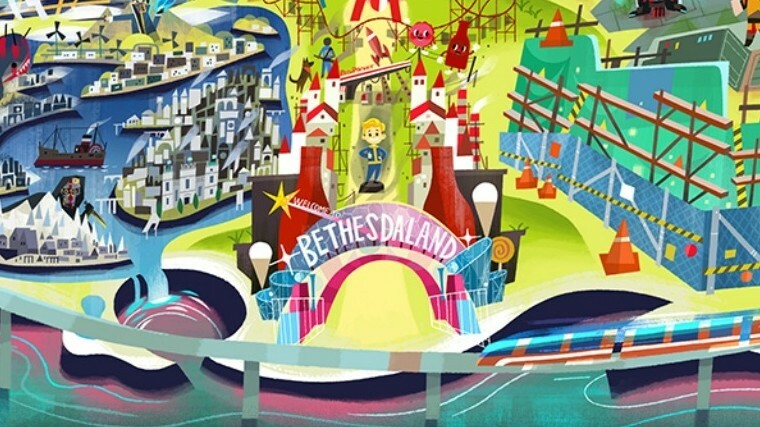 EA didn’t seem to get the memo, but Microsoft and Ubisoft seemed to take direct notes from Sony’s remarkably snappy game-after-game 2016 structure, while Bethesda seemed to look more to a Nintendo Direct-style format by wrapping their titles in a charmingly consistent theme park aesthetic. Sony, meanwhile, took what they did last year and cranked it up by matching each major game showcase to a specific mix of lighting tricks, props and even live actors, as Nintendo squeezed a few megaton announcements into the company’s shortest show ever. It’s easy to forget that 2017 brought us fewer awkward stage interactions and irrelevant media distractions than we’ve had in recent memory, which is surely worth acknowledging. And so another year’s Electronic Entertainment Expo has come and gone, and I have to say this one was a real peach. Despite an astonishing number of pre-show leaks, there were still some real megaton surprises on show, while known titles just got better and better in prospect. Here are my picks of the event. I’ve made no secret of my affection for Nintendo’s “Mario RPG” franchises on this blog in the past, so to see both of them merged into one incredibly crazy 3DS game is a bit of a treat to say the least. The opportunity for the kind of quirky, often hilarious banter both series are known for is clearly ripe. The game is coming this year, too, which is a very nice bonus even if there are so many games oh my goodness so many games TOO MANY GAMES TO PLAY. 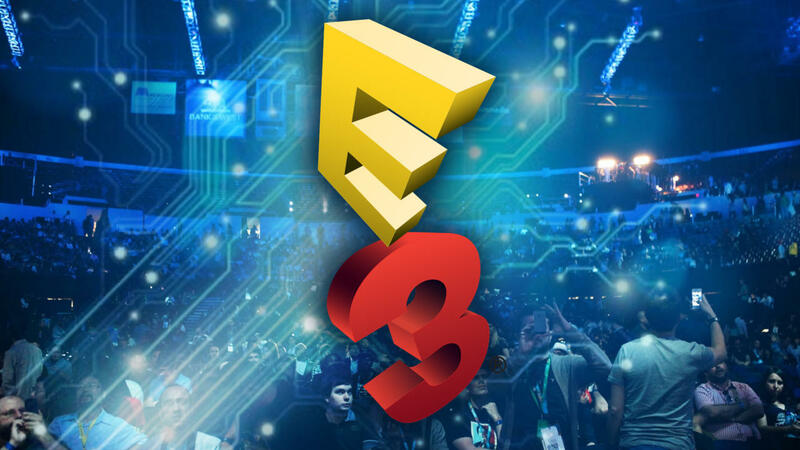 It’s almost time for yet another annual Electronic Entertainment Expo, which still seems to bring the goods again and again even in today’s leak-heavy internet age. This year, instead of the customary five press conferences, we have eight to take our sleeping hours away. EIGHT. Like, eight of them. If you plan to watch them all, best of luck to you. What a treat, though! Once again for those Sydneysiders and Melbournians (etc) who are keen to watch any of the conferences but can’t be bothered looking up and cross-referencing time zones to work out when they have to get up, I’ve written them up right here, so look no further. All times are in AEST. THEY WILL TALK ABOUT: The recently released console versions of The Elder Scrolls Online, the long-awaited Doom reboot, plenty of information on the juggernaut that is Fallout 4. I HOPE THEY TALK ABOUT: Dishonored 2 would be very nice indeed. THEY WILL TALK ABOUT: Single player gameplay debuts for what could potentially be the best line-up of console exclusives this holiday season – Forza 6, Rise of the Tomb Raider, the Remastered Gears of War and Halo 5: Guardians. Not to mention the reveal of Rare’s next big game. I HOPE THEY TALK ABOUT: Specifics on Quantum Break‘s release plans, a significant slice of attention towards awesome indie titles like Cuphead and Inside. THEY WILL TALK ABOUT: Plants vs Zombies: Garden Warfare 2, the first official gameplay showings from Mirrors Edge: Catalyst, Star Wars Battlefront and the new Criterion extreme sports game, the shape of the new Mass Effect, sports games aplenty. I HOPE THEY TALK ABOUT: The other Star Wars game. The one Amy Hennig is working on. THEY WILL TALK ABOUT: The normal serving of Assassin’s Creed and Just Dance footage, more info on The Division and Rainbow Six Siege, some as-yet unknown surprise that will inevitably get everyone talking about how cool it could be. I HOPE THEY TALK ABOUT: Same as last year – a new Rayman game, or the reappearance of Beyond Good & Evil 2. THEY WILL TALK ABOUT: Project Morpheus, the insane success of the PS4, Uncharted 4, Drawn to Death, Tearaway Unfolded, new Destiny stuff, lots and lots of juicy third party/indie partnerships. I HOPE THEY TALK ABOUT: Persona 5 please. Lots more indies on Vita, too. And seriously, where is Gravity Rush 2? THEY WILL TALK ABOUT: Always the toughest to predict, but surely at least the new Star Fox game for Wii U, plenty of new amiibos, that leaked Hyrule Warriors 3DS port, the next main Pokemon game, Splatoon DLC plans, Mario Maker. THEY WILL TALK ABOUT: A solid chunk devoted to Deus Ex: Mankind Divided, the unveiling of the long-teased new Hitman game, my potential game of the year Just Cause 3, some Heavensward: Final Fantasy XIV mentions, that new online robot shooter Figure Heads. I HOPE THEY TALK ABOUT: With the confirmed lack of Final Fantasy XV at E3 this year, surely there’s some big Kingdom Hearts 3 stuff to show? THEY WILL TALK ABOUT: Plenty of tech talk, Epic’s highly anticipated Fortnight, who knows what else? It’s the longest and most diverse conference on the schedule, so let’s hope it’s also one of the most exciting. I HOPE THEY TALK ABOUT: Overwatch, Overwatch and more Overwatch. Come on, Blizzard, let’s get the whole world hyped. Another year, another round-up, another desperate relationship with sleep. What an exciting Electronic Entertainment Expo. If you ask me the 2013 major publishing conferences were the most interesting, surprising and, in at least one case, outright brutal I have seen for a long, long time. Wow. Just as I did last year, I’ve broken down and ranked each conference from least to most impressive in my own opinion. Of course each company just showed so very many games that I cannot possibly hope to remember them all, so please keep that in mind. I will say that even though last year I placed Ubisoft on top of the list, this year’s EA conference (which is ranked lowest here) would have given that purple French showcase a real run for its money. 2013 was just that good for E3 conferences. My internet connection has been giving me real problems of late, which has made this piece a little later than I would have wanted. Alas. That magic week in worldwide gaming news has already come and gone for another year. 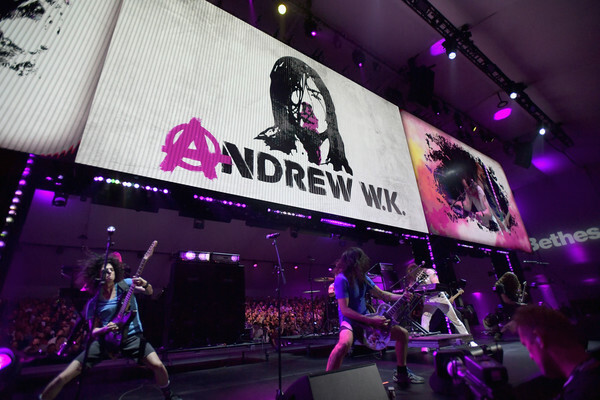 The Electronic Entertainment Expo, or E3 for the affectionate/professional/lazy, delivered less surprises than in past years, but there was still plenty to talk about. The aftermath has been dissected a million ways already. Chief among the topics of conversation, as always, were the five big press conferences. Here I throw in my 2c on them by ranking them in terms of how strong I thought they were, from least to most.